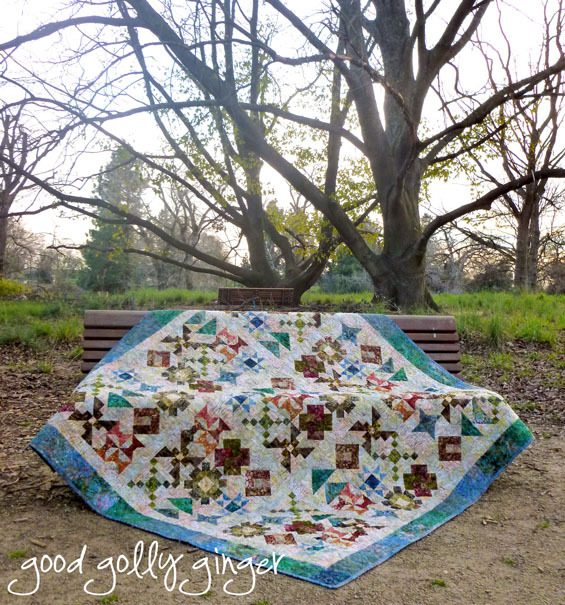 Today I am over at the Moda Bake Shop sharing my latest quilt, Sudoku. It's a free pattern! It was so much fun to work with Edyta Sitar's new batik line, Sticks and Stones. The fabrics in this line are vibrantly colored and blend perfectly with each other. I loved playing with them, and I believe the line will be released in April. They are wonderful Spring fabrics. Spring is definitely here in Northern California which makes for great picture taking! 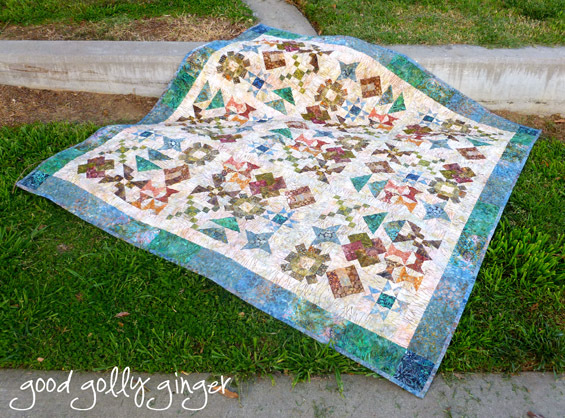 I free-motion-quilted this quilt with an all-over feathered flower. The center of the flower is a paisley with feathers around the paisley as the petals. I know it's hard to see, but I was really stoked how it turned out. So, go check out the free Sudoku pattern at the Moda Bake Shop! Enjoy! The quilt is fantastic. I've got to know, do the blocks all represent a certain number and add up like in the actual thing? 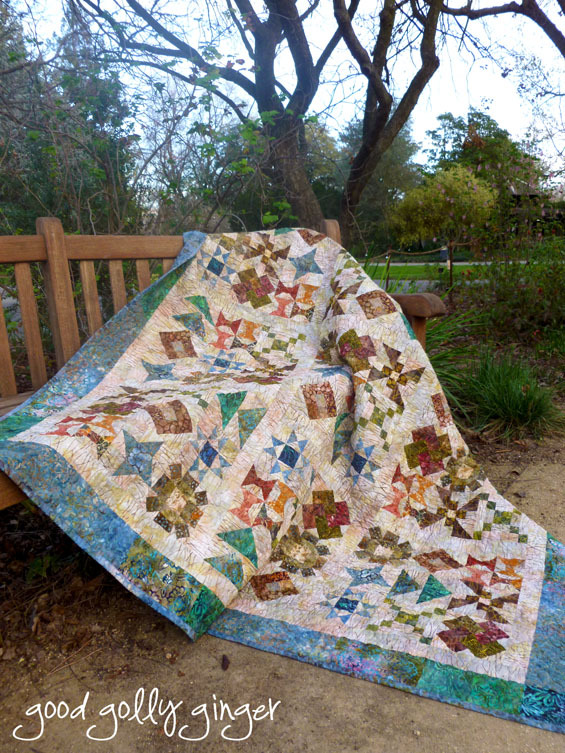 Oh congratulations on a new pattern release and being featured on MBS. 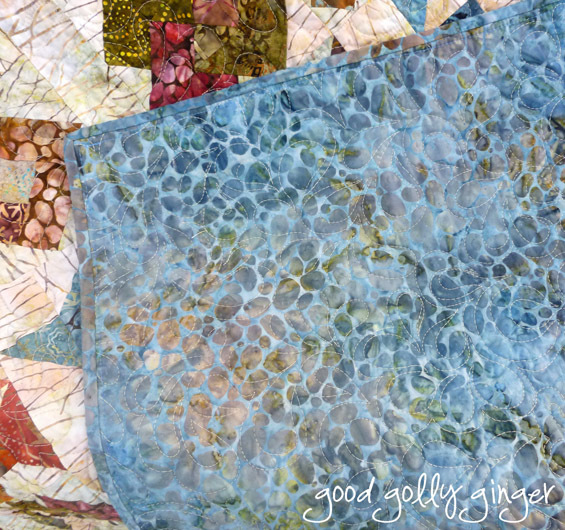 I really like the quilting and I think it turned out great, too! Fabulous! I love that is a Sudoku, but you can't really tell. Very cool, Katie! So glad you linked up to TGIFF! So pretty - I love the colors and the pattern. Beautiful and I love Edyta Sitar's fabrics too! Ultra-clever AND beautiful. Well done. I love this pattern. I've already saved it in my "to-do" list. Those fabrics have so much life. I'm glad spring has found you, too. There's only so many snow pictures you can do, right? 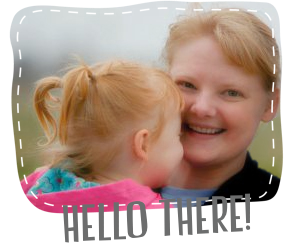 Congrats on your pattern release! Beautiful colors. I can see how you love to play with that line. The pattern is awesome, too.